In a megalopolis builton oil and gas, two Houston families with rich legacies in the city’s energy-based economy have converged to mentor a pair of the industry’s next leaders. Jerry Young, a successful trial attorney, is the latest descendant of multiple generations of oil and gas lawyers in his family. His grandfather was general counsel for Gulf Oil, later purchased by Chevron, until his retirement in 1956. His father was the in-house lawyer for Tennessee Gas and, later, Coastal Corporation. And Young’s stepfather, a partner at Vinson & Elkins, later became the chairman and CEO of Marathon Manufacturing. In his own 24 years of civil trial law and personal injury practice, Young has received numerous accolades, and he’s also president-elect of the Houston chapter of the American Board of Trial Advocates. But he’s realized winning isn’t everything; success is defined by the legacy one leaves. This obligation to pass on knowledge and experience is deeply ingrained in the Tucker family, too. 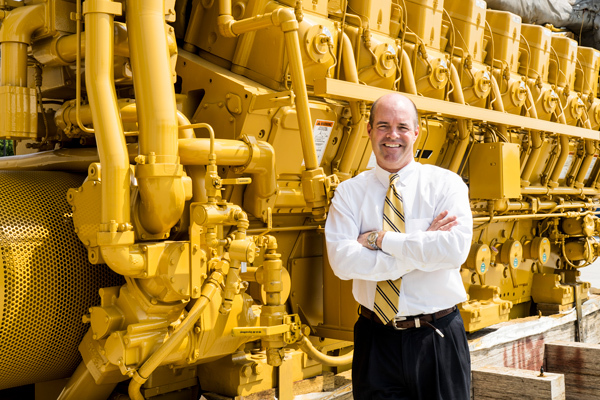 Their company, Mustang Cat, founded in 1952, now provides heavy equipment and power generation to Houston’s energy sector, employing 700 people at 17 locations across Southeast Texas. The convergence of the two families occurred in 2015, when Mustang Cat president Brad Tucker, also a lawyer, shared with Young his intentions to retire and hand over company leadership to his two sons. At the same meeting, he also revealed that he thought Young would be the ideal candidate to head the succession plan, as the new vice president and general counsel of the company. It was an offer Young couldn’t refuse.